Liposuction New Orleans | William P. Coleman III, M.D. Drs. William and Patrick Coleman are a highly trained, experienced, father-son team of dermatologic surgeons who have pioneered many cosmetic procedures. 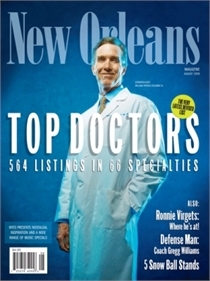 Dr. William Coleman has been elected by his peers for inclusion in Best Doctors in America every year since 1994. We see patients from all over the U.S. and, from dozens of other countries. Our patient base includes hundreds of doctors, nurses, and their families who have chosen us for cosmetic procedures. If you browse the internet, you will find many glossy ads for cosmetic surgery and dermatology from individuals with little or no training and no credentials. When you are concerned about your appearance you are wise to choose a real expert. Stay away from clinics or spas run by general doctors without any formal training in dermatology or plastic surgery who claim to perform Botox, laser treatments, fat reduction and more. We frequently see patients who have visited these clinics and spas who have had botched procedures performed and it is often hard to fix them. Please choose the right doctor in the first place. Dr. Coleman is one of the original pioneers of local anesthesia liposuction, and he has served as an invited guest professor teaching this method all over the world. When you choose Dr. Coleman to perform your liposuction procedure, you can rest assured you are in good hands. Visit our liposuction page to learn more.